One of our most distinguished historians, Robert Dallek is the author of An Unfinished Life: John F. Kennedy, 1917-1963, which was a number one New York Times best-seller. His book Nixon and Kissinger: Partners in Power received an honorable mention in the 2008 Arthur Ross Book Award, sponsored by the Council on Foreign Relations. His most recent book is The Lost Peace: Leadership in a Time of Horror and Hope, 1945-1953. He also wrote the foreword to The Kennedys: Portrait of a Family by Richard Avedon and Shannon Thomas Perich. His writing has appeared in the Atlantic Monthly, the New York Times, and the Washington Post. 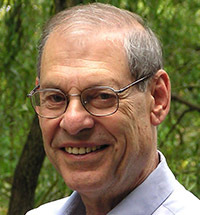 He is an elected fellow of the American Academy of Arts and Sciences and of the Society of American Historians, which he served as president in 2004-2005. In a striking reinterpretation of the postwar years, The Lost Peace examines what drove the leaders of the most powerful and populous nations around the globe — Roosevelt, Churchill, Stalin, Mao, de Gaulle, and Truman — to rely on traditional power politics despite the catastrophic violence their nations had endured. The decisions of these men, for better and often for worse, had profound consequences for decades to come, influencing relations and conflicts with China, Korea, in the Middle East, and around the globe. Dallek, in his presentations as in his book, offers a penetrating look at the misjudgments that caused enormous strife and suffering during this critical period, from the closing months of World War II through the early years of the Cold War. From Hitler's killing program to Stalin's paranoia to Truman's decision to build hydrogen bombs, the men who led the world at this time executed astonishingly unwise actions that propelled the nuclear arms race and extended the Cold War. Dallek has written a cautionary tale that considers what might have been done differently to avoid the difficulties that strong and weak nations around the globe encountered in the mid-twentieth century. Dallek is an emeritus professor of history at UCLA. He has been Montgomery Fellow and a visiting professor at Dartmouth and is now teaching courses on the presidencyfor Stanford in Washington. Dallek lives in Washington, DC. 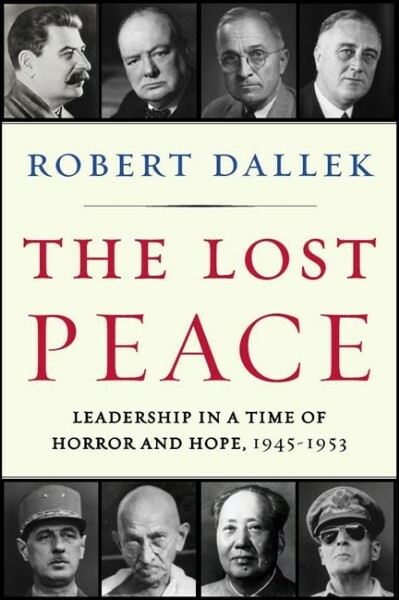 "Robert Dallek brings to this majestic work a profound understanding of history, a deep engagement in foreign policy, and a lifetime of studying leadership. The story of what went wrong during the postwar period and what might have been if different decisions had been made has never been more intelligently explored. This seminal work deserves widespread attention."